With the novelty Christmas sweater and the mug of yuletide nog. You want to do something good for your neighbor. You want to be Santa’s Little Helper and actively combat socioeconomic disparity. But maybe you’re also holiday-broke. You have six nieces and you’re not sure how you can buy a half dozen My Little Ponies (is there a bulk rate?) and still donate your money to a local charity. Short on money but have a few hours to spare? Several local nonprofits are right now looking for seasonal volunteer work. Right now! Are you the one chosen to spread some fa-la-las in Everett? All nonprofits listed below are legit 501 (c)(3) organizations, meaning you can claim your monetary donation as a tax deduction. 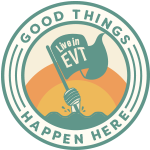 What follows is not an exhaustive list (there are a lot of people doing good things out there) but these nonprofits are doing reputable, boots-on-the-ground work directly in North Everett. Meaning your time and/or money will directly generate value in our community. Habitat is a nonprofit that has built, renovated, and repaired more than 45 homes in Snohomish County in partnership with low-income working families. They raise the bulk of their money through their home improvement thrift stores (Everett’s is on 23rd and Broadway). This year CCS is sponsoring 55 clients transitioning out of homelessness. CCS provides housing for these clients as well as case management services so that these individuals can reach life goals like sobriety or sustained employment. CCS also helps clients stock up on basic amenities year-round. They are now accepting donations like clean socks, basic toiletries and gift cards to gas stations and local grocery stores. Toys for Tots donates new toys to 2800 working class families throughout Snohomish County. They distribute toys to children ages newborn through 17 years and are in particular need of learning toys for infants and body washes and electronics for teens. Their seasonal distribution center is the Foundation Church on the corner of Oakes and California. Toys for Tots is a nonprofit run by the Marine Corps. Do you know A.L.I.C.E.? The acronym stands for Asset Limited, Income Constrained, Employed. This describes individuals and families living paycheck to paycheck. 6. KSER FM: Everett-based community-powered radio. 7. Salvation Army: Food bank. 26th and Rucker. 8. Everett Animal Shelter: Animal adoption. 333 Smith Island Rd. 9. Volunteers of America Food Bank: 13th & Broadway. 10. CafeWorks: Barista job skills training for homeless and at risk youth. 3331 Broadway. 11. YWCA: Donations of clothing for women. Business attire needed. 3301 Broadway. 12. Citrine Health: Supportive healthcare, social services and disease prevention services for women and their families. W. Marine View Dr. & Pacific. What are some of your favorite organizations to give to? Did we miss one? Let us know in the comments below.